Hunter Douglas interior metal open ceilings provide the architect with a variety of design opportunities to create an open and spacious feel. Our open ceilings are designed to give the illusion of additional space, while adding aesthetic interest to the area. Open ceilings create a spacious environment which is perfect for interior applications that require a light, open space. A wide range of different patterns and sizes are available that allows architects to create their desired look, while specifying a ceiling that enhances the functionality of the area. Hunter Douglas open ceiling systems are available in a wide variety of sizes and patterns that combine the freedom of design with ease of installation. Our range of open ceiling tiles are available as lay-on, lay-in, or semi concealed, with 6 different profile types available as standard or special. 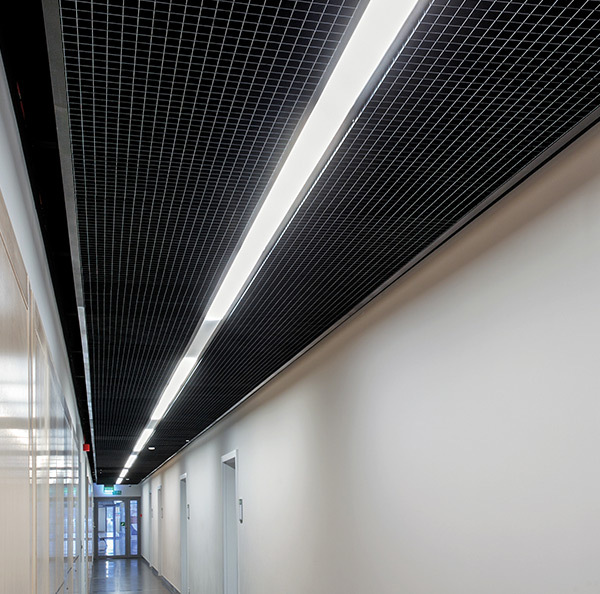 Our other ceiling systems are available as hook-in, tile, swing-down or sliding, in a variety of module sizes. Hunter Douglas interior metal ceilings are available in a wide range of standard colours and in RAL colours. We also supply a special range of finishes and colours for bespoke projects. For further information on our extensive range of internal ceiling applications and the colours and finishes available, please contact our sales office. While our open ceiling systems do not have integrated acoustic properties, they can be combined with acoustic pads that are placed over the panels. These pads then add sound absorption properties to the ceiling that can be adapted to any requirement. Acoustic comfort is important in any environment. Whether a school, public building, conference centres or hospitality facility, poor acoustic comfort can be damaging to your health. In addition, poor acoustics can cause problems with safety, communication, productivity and learning. 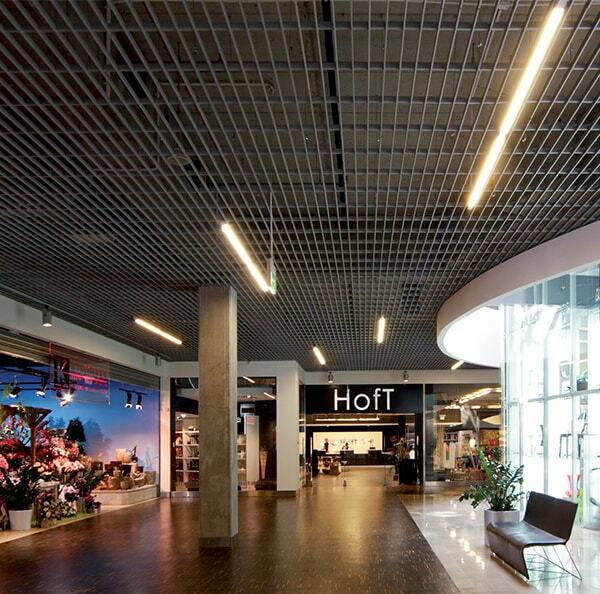 Hunter Douglas Open Cell Ceilings enable architects to design an open ceiling with high-performance aluminium. 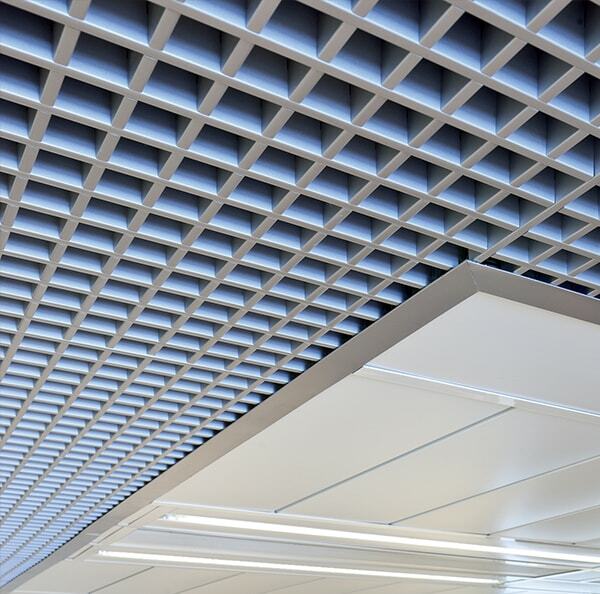 With a wide variety of cells and patterns, these ceilings offer maximum freedom in design. Cell Ceiling systems create a spacious appearance ideal for interior designs where open, light constructions are desired. Open Cell Ceiling Systems encourage the designer to create different modules in one ceiling and are ideal for very small plenum depths. Systems are available as lay-in, lay-on or semi-concealed. 6 different profile types are available as standard or special. Be sure to browse our product gallery for further inspiration. 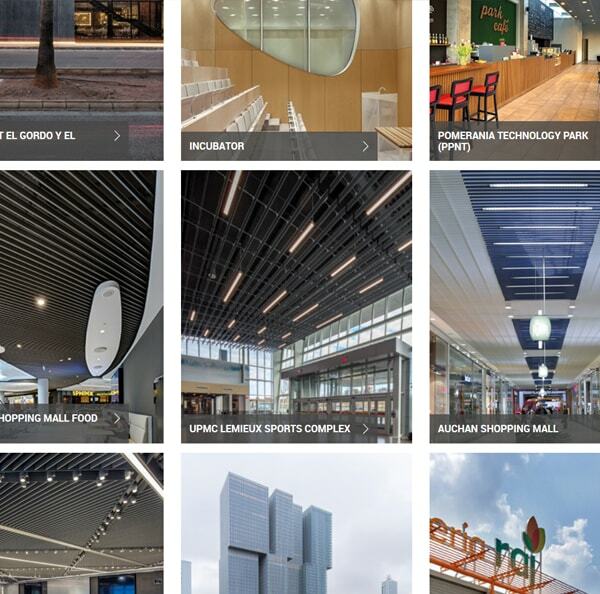 Use the filters below to browse our full selection of Open Ceiling Products.